I thought I was being clever at the breakfast table this morning when I asked my children where they are from. Monty looked at me as if I was mental and promptly said “Australia, we’re Australians”, and Poppy paused, thought for a moment and came out with a confused “I don’t really know”. This is the girl who walked along the beach last week singing the whole of the Australian national anthem, and then looked blankly when I asked her to sing ‘God save the Queen’. I’m not sure whether this should have concerned me. To be honest it didn’t! I’m secretly thrilled that they are becoming a new generation of “third culture kids”. Maybe if I had pressed the issue we could have come up with some other nationalities rather than Australian. Monty was adamant he was Cambodian for about 5 weeks after our holiday. Being raised as a bit of a nomad, probably made my decision to up sticks and move to Australia an easier one. I am guilty of getting very “itchy feet”. I move the furniture round the living room monthly! I have weekly clear outs, just in case and I’m always googling what life in another place would be like. But it’s somehow different now. I am the adult, it’s my children who have to just go with it! I remember vividly the horror and excitement when my father came home to tell us we were moving to Abu Dhabi! 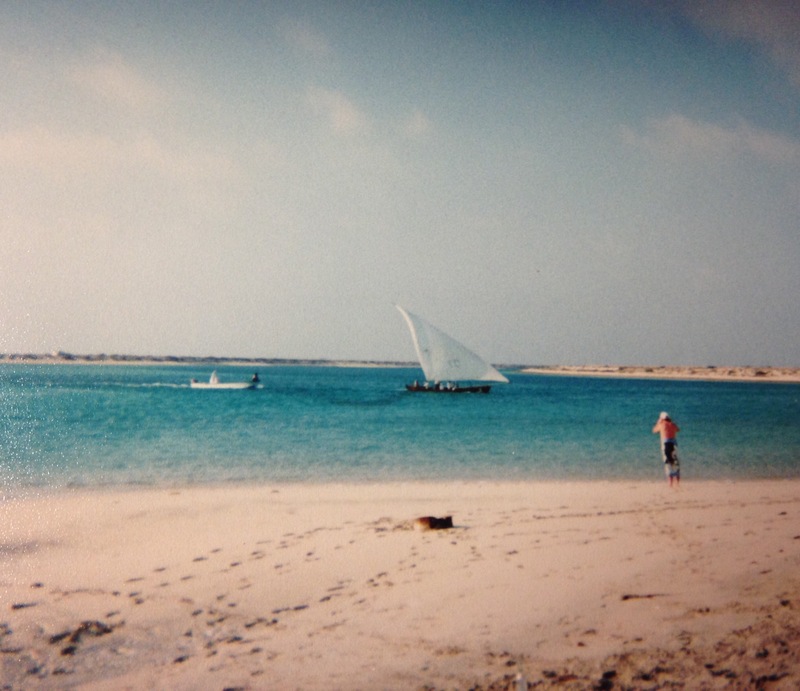 Back in those days, Abu Dhabi was not a big tourist destination, there were only a handful of hotels, and it was pretty authentic Middle East. Kids at school in the UK joked that I would be travelling to school on a camel instead of a bus. I was terrified. I hated camels. In fact Abu Dhabi was so unknown that some people thought we were moving to Aberdyfi in Wales! But Abu Dhabi truly became “home” to me. Even now I think so fondly of those days. No real cares, a fairly disorganised international school, wonderful beaches, beautiful friends from all over the world, constant hot sunny days, fresh samosas at the souk, all that and you were able to order a pack of Marlboro lights to be delivered to your door from the corner shop, no ID required! There was no Facebook, or Instagram, we didn’t have Skype or FaceTime. I wrote letters to my long lost friends, we very rarely spoke on the phone, we just kept in touch the best we could. One day I noticed there was no mail. Then I realised I hadn’t sent any mail. We had all of a sudden drifted apart. So all the tears I cried leaving my school buddies, all the letters I wrote complaining about how much I missed everyone back in the UK, eventually faded to a distant memory. Not that I had forgotten them, but I had moved on and so had they. 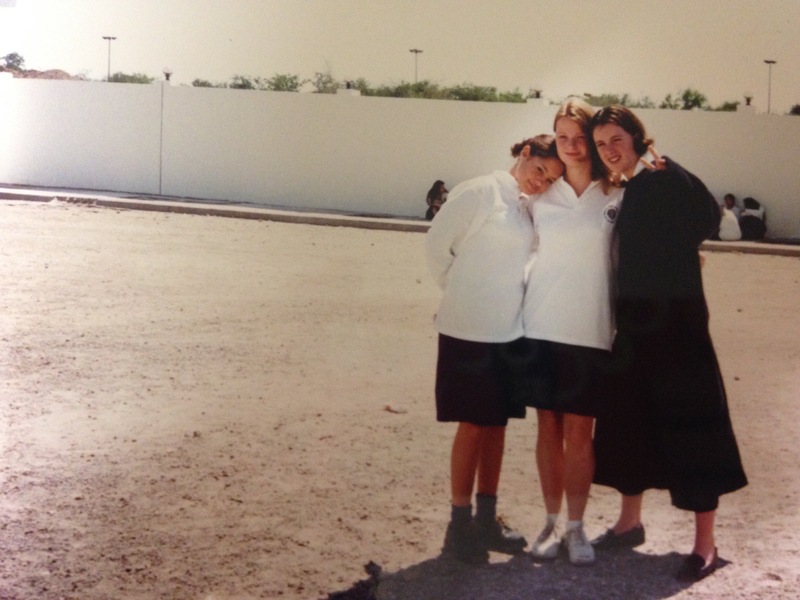 I was living a different life in, what seemed to my 13 year old self, a completely different world, that I thought no one back home truly understood.For many years, if anyone asked me where I was from, I would always say Abu Dhabi! This wasn’t because I was confused and genuinely thought I was a UAE national, it was more than that. 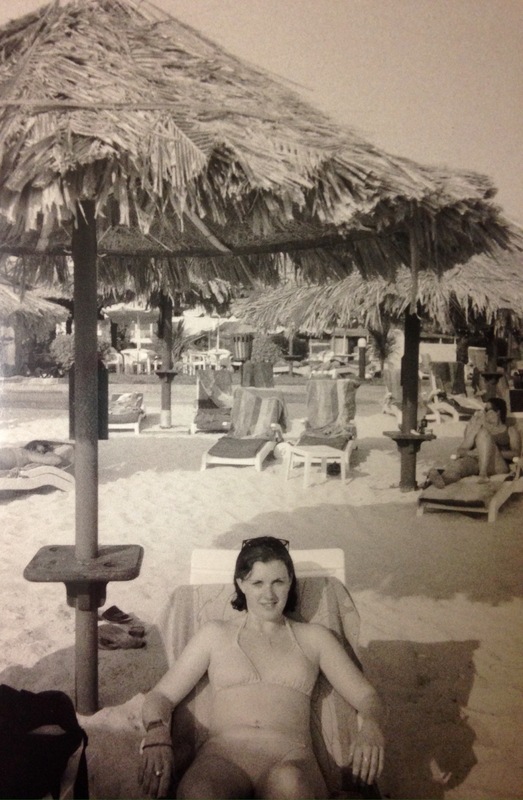 Abu Dhabi felt real, it felt safe, it was the first place we had lived where I genuinely felt like it was home. I am pretty sure that this was down to my awesome collection of international friends who were just like me, and also very different from me at the same time. They were following their parents around the world, they knew what being the new kid was like, they had also left friends behind, and we all clicked. We all clicked because we were in the same boat, and deep down we all knew we were living an incredible life, and the world was to become our oyster. A fellow expat here in Sydney told me, two years of being away is when the messages become less, the phone and Skype calls become more infrequent, and you start to move on with your life. This frightens me. It frightens me because I know first hand, just how true this can be. I am starting to see this happening to my children now, and although it’s sad, I am determined for them to make the most of being on this adventure. I don’t want them to lose contact with their old lives, but I do want them to be free to decide where they come from. I want them to be confident travelers, and be adventurous. I want them to look forward, not back. I want them to keep their “first” buddies, but I also want them to fully embrace our new life and nurture our newly formed friendships. I want them to know where “home” is, and at the same time I want them to feel like the whole world is their “home”! I often wonder what the future holds for Poppy and Monty, and other “expat” kids. Will it be a different scenario now because of social media? Will this ruin the magic of being a “third culture kid?” The lack of contact while living in far flung places is what makes it more of an adventure surely? Going back to the motherland once in a blue moon, with your different accent that isn’t really one thing or another, the clothes you’re wearing that seemed pretty snazzy until you saw what everyone else was wearing at “home”! Will the modern world get in the way of the “expat kids uniqueness”. I really, truly hope not. Will they still be “International Children of Mystery?” I truly hope so! All we can do as parents is give our children the best life we possibly can. So why worry when they have no idea where they’re from. Maybe that’s the magic of being them! You must go on adventures to know where you’re truly from. *Third culture kid (TCK) is a term used to refer to children who were raised in a culture outside of their parents’ culture for a significant part of their development years. The definition is not constrained to describing only children, but can also be used to describe adults who have had the experience of being an ATCK (Adult Third Culture Kid). The experience of being a TCK is unique in that these individuals are moving between cultures before they have had the opportunity to fully develop their personal and cultural identity. Next Life is short… Smile while you still have teeth! What a really good blog, you have certainly embraced your new country. The children have also settled right in to the new country, and yes home is where the heart is and that is certainly in your family. May you all have a great time enjoying your new found freedom. All the very best for the future and beyond as Star Trek would say !!!! In a nutshell my sister and spot on ! its so true how kids in international schools know what its like to be the new kid. I just wrote a post on exactly this concept!